Clevamama ClevaPortions includes eight storage pots with individual lids for freezing single portions of home cooked food. 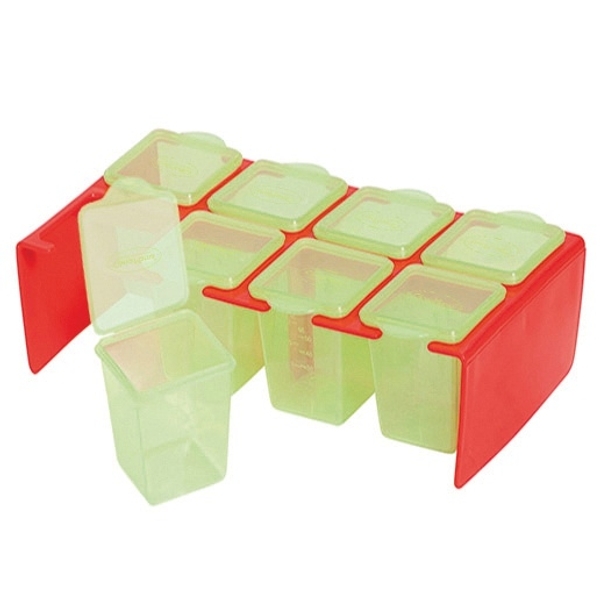 Clevamama ClevaPortions Freezer & Storage Pots are perfect for storing fresh baby food in your fridge or freezer. The pots sit in the tray for easy storage and their transparent sides allow you to determine what food is inside. EU Warning: Always use this product with adult supervision.